Those who already possess the Aadhaar card will have to link it with PAN. The Supreme Court on Friday put a partial stay Section 139AA of IT Act, which allows mandatory linkage of Aadhaar for filing income tax returns (ITR) and allotment of PAN (permanent account number). 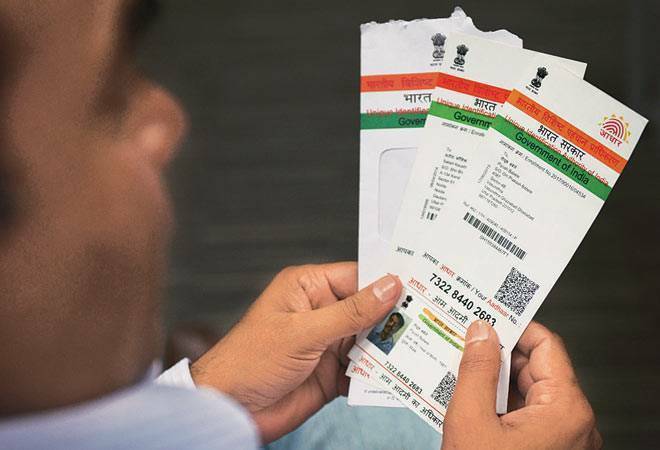 The apex court said the government could not force people to get Aadhaar until the main issue over privacy is decided. However, the it added that those who already possess the unique ID will have to link it with PAN. There will be partial stay on implementation of IT Act's provision until the Constitution bench decides the privacy issue regarding Aadhaar. SC also asked the government to take appropriate steps to ensure there is no leakage of data from Aadhaar scheme. Previous transactions wont be affected or nullified with partial stay on new law till privacy issue linked to Aadhaar is decided. A bench comprising Justices A K Sikri and Ashok Bhushan had on May 4 reserved the verdict on the pleas, challenging section 139AA of the Income Tax (I-T) Act, which was introduced in the latest budget and the Finance Act, 2017. SC also asked the government to take appropriate steps to ensure there is no leakage of data from Aadhaar scheme. Previous transactions wont be affected or nullified with partial stay on new law till privacy issue linked to Aadhaar is decided, it said. The Supreme Court bench had earlier asked the Centre if making Aadhaar mandatory by force was the only way to tackle financial fraud. While hinting at making Aadhaar mandatory for flying, Minister of State for Civil Aviation Jayant Sinha on Thursday said the Ministry plans to introduce 'digital unique identification' requirement at the time of booking air tickets. Air travellers are already required to carry a copy of their identity while entering an airport. Now, a digital unique identification such as Aadhaar, PAN (Permanent Account Number), Passport Number is being proposed for air passengers, Sinha said.